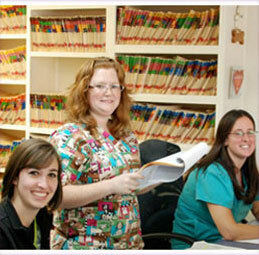 Dr. Jennings grew up in Long Island, New York and has been a Virginia resident for more than 30 years. She is a 1989 graduate of the Virginia-Maryland Regional College of Veterinary Medicine and received her Bachelor of Science and Master of Science degrees at the University of Richmond in 1982 and 1984, respectively. 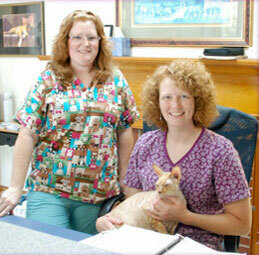 Dr. Jennings has been practicing Veterinary Medicine in Virginia since 1989 and opened Brambleton Veterinary Hospital in 1996. Dr. Jennings is a dog enthusiast with a special fondness for Boxers and French Bulldogs; enjoys gardening, running and is an awesome cook. 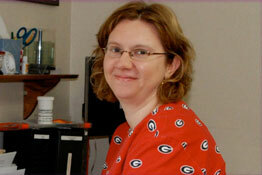 Dr. Erika Henson grew up in Clintonville, West Virginia and moved to Roanoke in 2004. She obtained a Bachelor of Science in Biology at Wofford College in Spartanburg, South Carolina and graduated from the University of Georgia with a Doctor of Veterinary Medicine in 2003. Dr. Henson enjoys reading, writing and traveling. Dr. Sisk graduated thrice from the University of Georgia, including a Masters’ of Science in animal nutrition, as well as Doctor of Veterinary Medicine in 2003. 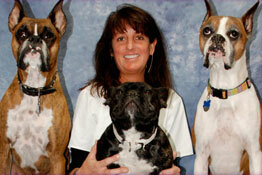 His interests in veterinary medicine include behavioral medicine, surgery, and geriatric medicine. Outside of work, he is a fan of music, movies, and science in general. He enjoys spending time with his family and teaching his children about baseball and Star Wars. 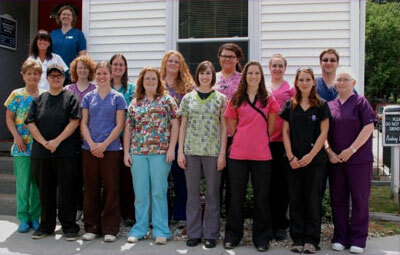 The staff at Brambleton Veterinary Hospital are a caring and compassionate team of animal care specialists who are dedicated to serving your pet care needs. 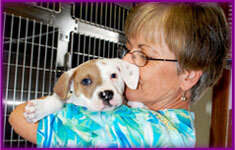 Our veterinary staff is extensively trained to perform the duties of client services and reception as well as veterinary technical services, so the person who greets you upon arrival for an appointment becomes your personal pet care advocate to assist you and the doctor from check – in to check – out. 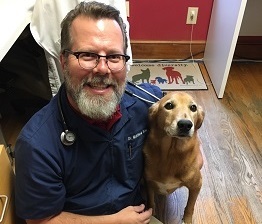 The staff at Brambleton Veterinary Hospital has a proven record of dependability evidenced by their many years of faithful service in the field of veterinary care; and, we invite you to make BVH your pet’s health care team, too.